Worcestershire based PR Agency, Make More Noise, has expanded its operation with the appointment of two new team members and an office move in Birmingham City Centre. Having recently celebrated its 3rdyear in Business, the agency was originally founded by experienced PR and Marketing Consultant, Hannah Haffield, in Malvern in October 2015, and since this time has grown 100% year-on-year. 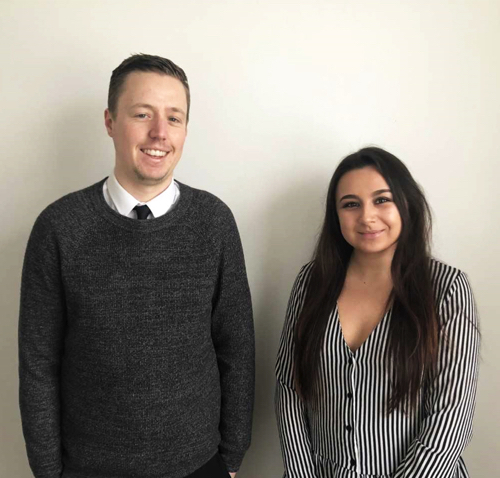 Providing B2B and B2C Businesses with services in Public Relations, Marketing and Social Media Management, the agency’s recent expansion has been supported by the appointments of Olivia Perryman and Craig Talbot, who both bring a wealth of PR experience to the team. Craig, 27, joins Make More Noise as an Account Manager, having worked in PR since graduating from Staffordshire University in 2012; where Olivia, 26, a graduate from Birmingham City University, brings a wealth of experience from retail giant Claire’s, together with several PR internships from agencies across the Midlands. The firm’s expansion will also be supported by an office move from Fazeley Studios, Digbeth, to Somerset House in Birmingham City Centre this February, with plans to maintain its Worcestershire presence through the Open Space Rooms, Malvern. In just three years, Make More Noise has established a profound reputation for its PR and Marketing services, having working with clients on both a local and national scale, whilst securing investment from BBC Apprentice Winner Mark Wright in 2017.